* All transactions at http://www.car-poster-gallery.com will be charged to the Client in Euros (€). All Prices in USD are quoted at the current exchange rate of the Euro. Please keep in mind that exchange rates fluctuate on a daily basis so that prices can differ from day to day. 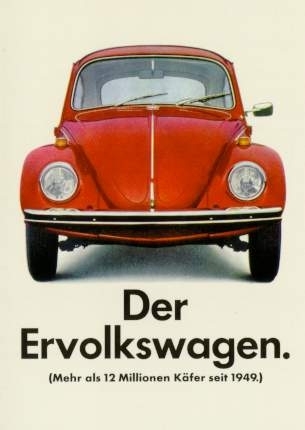 Do you have a question concerning our product 'Vw Volkswagen Beetle Advertisement 1970' ?